Ivory Tower was written by Jack Fulton and Lois Steele. The most popular recordings were from Cathy Carr and Gale Storm and an R&B version from Otis Williams. Carr peaked at #2; Storm at #6 and Williams’ at #11 on the R&B chart. Based on the 1946 novel of the same name by humorist H. Allen Smith, Rhubarb, the film, was directed by Arthur Lubin. The screwball noir comedy starred Jan Sterling and Ray Milland as well as 14 different cats portraying Rhubarb. The plot: A lonely, eccentric millionaire that owns a baseball team, the Brooklyn Loons, leaves the team to a stray cat, Rhubarb, that he took a liking to. Rhubarb becomes a good luck charm for the team who make a run for the championship. Orangey (credited as the star of Rhubarb) won a PATSY Award (Picture Animal Top Star of the Year; the animal version of an Oscar). Trivia: Orangey later won the award again for his appearance in Breakfast at Tiffany’s, the only cat to win the PATSY more than once. Actor Leonard Nimoy has an uncredited role in Rhubarb. Sticks & Stones was the debut album by English recording artist Cher Lloyd. (Lloyd finished fourth on the UK version of X-Factor in 2010.) Four singles were released from the album: Swagger Jagger, With Ur Love, Want U Back and Oath. Swagger Jagger topped the British and Scottish charts. With Ur Love featured vocals by American singer Mike Posner and went top five on the UK music charts. Want U Back featured American rapper Astro and remains Lloyd’s most successful single to date. Oath was only released in the U.S., Canada, Australia and New Zealand. Moustaches have been huge since 2014. Someone had to capitalize on that. Spin Master Games introduced this board game to do just that. Players get a moustache and have to be the first to slam said mustache down when a card matches their mustache. This game is great fun! The Shake was a fad dance that was replaced by the Twist. The Shake is exhibited by very tense jerkiness of the limbs and head. There are no other particular moves or steps, just the jerky shaking moves. No partner was required either — probably cause you’d scare them half to death. This pop song, Chinese Food, was a digital download that entered the Billboard Pop single chart at #29. It was streamed five million times for the week ending October 20, 2013. In this new digital age, a song is able to crack the top 30 of a national music chart without ever having been played on the radio! Patrice Wilson wrote Chinese Food as a homage to his favorite food. Young English actor Robert Arthur Knox seemed to be on the cusp of a promising acting career. He was known for playing Marcus Belby in Harry Potter and the Half-Blood Prince. Previously he had appeared in numerous British TV shows and had been an extra in the 2004 film, King Arthur. 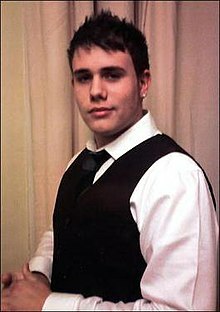 Tragically, his life was cut short on May 24, 2008, when Knox was stabbed five times in the chest outside a London bar. He was trying to defend his brother from an attack. Knox was a mere 18 years old. His killer, Karl Bishop, was sentenced to life in prison with no possibility of parole for 20 years. An annual film festival, was created in commemoration as well as a foundation to help fund training for young local people in the arts.As The Half-Blood Prince was released in 2009, Knox appeared posthumously. Though his character wasn’t to appear in the final Harry Potter film (The Deathly Hollows), Knox had signed on to appear in the film, which was released in November 2010. 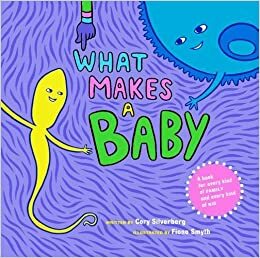 Written by sexuality educator Cory Silverberg and illustrated by award-winning Canadian artist Fiona Smyth, What Makes a Baby is a twenty-first century children’s picture book about conception, gestation and birth and reflects the reality of modern time by being inclusive of all kids, adults and families. The book is intended to start a conversation for children from preschool to age eight. In the 1950s, Jell-O introduced a line of congealed salad ingredients, including celery, seasoned tomato and a general mixed vegetable. Yikes. Taboo is a documentary TV series that airs on the National Geographic channel that premiered in 2002. The show takes a look at “taboo” rituals and traditions practiced around the world in some societies that are forbidden or illegal in other societies. Each episode is an hour long and is related to a specific topic and explores how this topic is viewed around the globe. Taboo tried to look at the most misunderstood, despised or disagreed-upon activities, jobs or roles. Taboo hasn’t been produced in traditional seasons with fixed episode counts. Episodes have been grouped together to make DVD “season” boxsets. Currently, there have been “10 seasons” containing 112 episodes with an additional DVD of 6 special episodes. The last episodes of Taboo produced were in 2014.